Apple pushed out iOS 11.2.5 beta 6 today for iPad, iPhone, and iPod touch to developers and public beta testers. Last week two beta updates were rolled out, and this fast pace may indicate that iOS 11.2.5 is almost ready for prime time. Like most of the previous iOS 11.2.5 betas, the sixth doesn't include much of interest to regular users, except a quick patch for the ChaiOS vulnerability, where a malicious link could cause Messages and Safari to become unstable. Aside from Apple's generic "bug fixes and improvements" statement on the update page, that's the only thing we found that's new. 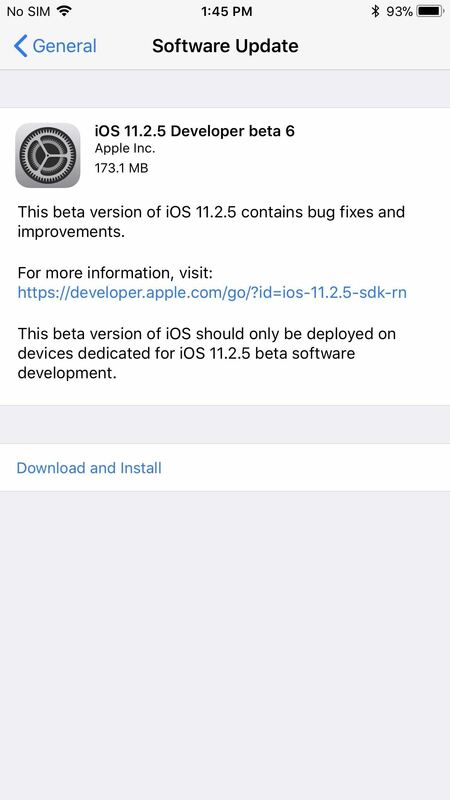 To update your iPad, iPhone, or iPod touch to iOS 11.2.5 beta 6, make sure you are a developer or public beta tester with a valid configuration profile on your device. Then just open up the Settings app, hit "General," then "Software Update." Follow the on-screen instructions to download and install iOS 11.2.5 beta 6. With two beta updates last week and another one early this week, it's likely that iOS 11.2.5 is almost ready for everyone as soon as next week, possibly on Monday, as rumors suggest. Historically, beta versions of non-major software updates have never gone past seven builds. By comparison, iOS 11.2 had 6 betas. Also, point releases don't usually get a Golden Master version (the final build before a public release), so iOS 11.2.5 might not have one before the final push to everyone (update: there was a GM version, beta 7). 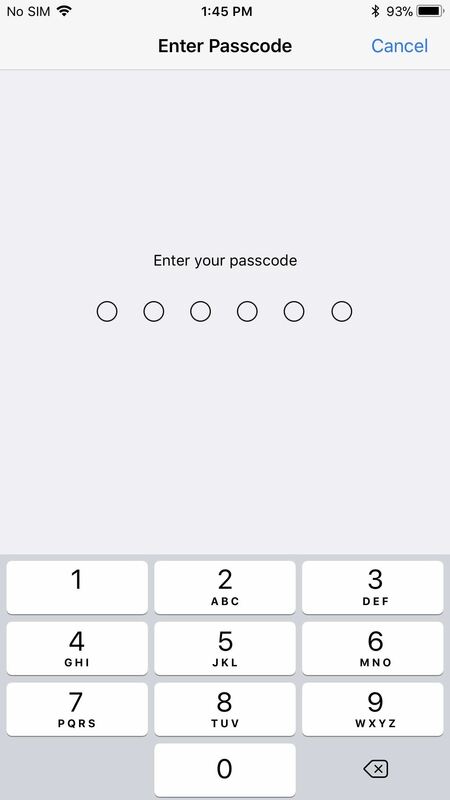 The quick patch for ChaiOS is another indicator that 11.2.5 is coming soon, as Apple will want to get that one everyone's devices as soon as possible. There is not much new in iOS 11.2.5, so don't expect any of the big features we're still waiting for to arrive, such as Messages on iCloud and Apple's recently promised battery health tool. Those will likely appear in iOS 11.3. From what we've seen in the betas, the only big change in iOS 11.2.5 is in the Music app, where the "Now Playing" bar remains persistent and doesn't disappear. There are some signs of AirPlay 2, but don't expect anything functional until HomePod is released. And Apple has already pushed out an update for the Meltdown vulnerability in iOS 11.2, as well as the Spectre vulnerability in iOS 11.2.2. As far as Messages on iCloud, the battery health tool, and AirPlay 2, we'll likely have to wait until iOS 11.3 comes into play, which will hopefully be very soon. If iOS 11.2.5 is pushed out to everyone on Monday, Jan. 22, then iOS 11.3 beta 1 will hopefully follow that Tuesday. Fingers crossed.